Sonosuke Izayoi is a member of Future Foundation and the leader of the 9th Division. During his time at Hope's Peak Academy, his title was Ultimate Blacksmith. Sonosuke is stated to be a "silent type", who avoids talking to others, the only exception being Ruruka Ando. Sonosuke was killed by his romantic partner, Ruruka Ando, who forced him to violate his NG code. 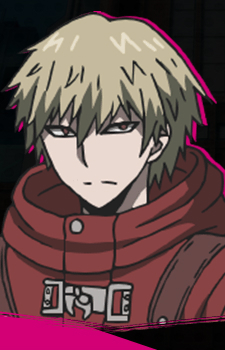 He is the second person to violate his NG code in the Final Killing Game, and the sixth to be killed overall.